Root canal therapy, also called endodontics, is the dental specialty that deals with the nerves in teeth. If tooth decay advances too far or if a tooth has been traumatized, it may be necessary to perform root canal therapy to prevent pain or infection. A root canal can be highly successful in saving a tooth and usually requires one or two office visits. Before performing root canal therapy, the area around the tooth and gum will be treated with a local anesthetic to prevent any discomfort during the procedure. 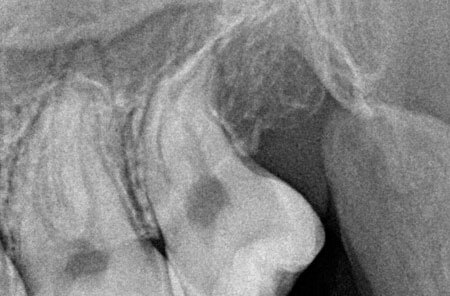 Although there are many myths that root canals are painful, the most discomfort or pain usually is experienced before the procedure; the procedure itself can be painless with today’s techniques and instruments. The process of a root canal therapy involves the removal of the nerve (also called the pulp) from the center of the affected tooth. A small opening is made on the chewing surface of the tooth and the infected tissue is removed. The inside pulp chamber and tiny canal passageways are cleaned and disinfected with various solutions and then filled with a rubbery sealant material called gutta percha. 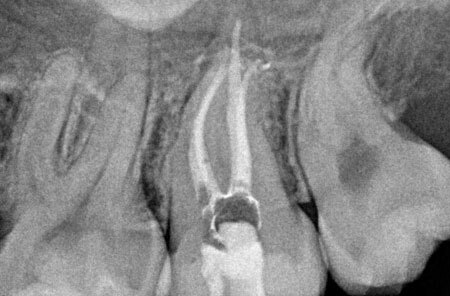 In many cases, the root canal will require a crown or filling to protect the tooth from breaking. If a crown is necessary, it would be performed at a later date once the root canal therapy has had time to heal.